The president of the Cleveland Police Patrolmen’s Association, Steve Loomis, says the upcoming Republican National Convention is going be a real mess because police just aren’t prepared to handle it. Loomis says not only is there a shocking lack of equipment and training for officers charged with keeping the peace, but cops have also been told that if they want riot gear like gas mask, they’ll have to pay for those items out of their own pockets. 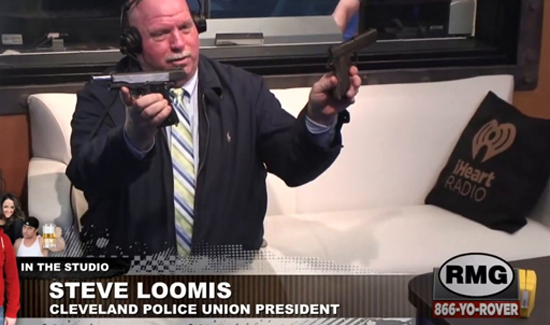 While Cleveland officials say the city is ready, Loomis predicts chaos. “I don’t think that we’re anywhere (near where) we need to be for it,” Loomis told FOX News. Loomis says the order of “riot suits” is not only late, but that cops were never even measured to see if the gear would fit. Another problem is that an order of bicycles was also late and officers haven’t had enough time to train on bikes. Not everyone shares Loomis’s views, though. Rodney Monroe, the former chief of the Charlotte-Mecklenburg Police Department who handled security for the Democratic convention in 2012, said the timing of the arrival of the gear is not a big deal. Making sure you’re trained to use it effectively is the issue at play here. “It’s important to have begun the training and started the training and hopefully, the equipment once it arrives, it can be deployed accordingly,” Monroe said.